The inside is a total mess right now - I will tidy it up once I have all the software stuff worked out. On the subject of software, the cabinet will eventually run Retroarch on a minimal ubuntu image that pfeerick and I put together earlier this year. Right now the outstanding issue is getting the LCD to work with mali+drm enabled, but everything else works as intended. So as you can see in the picture above, right now its running android. 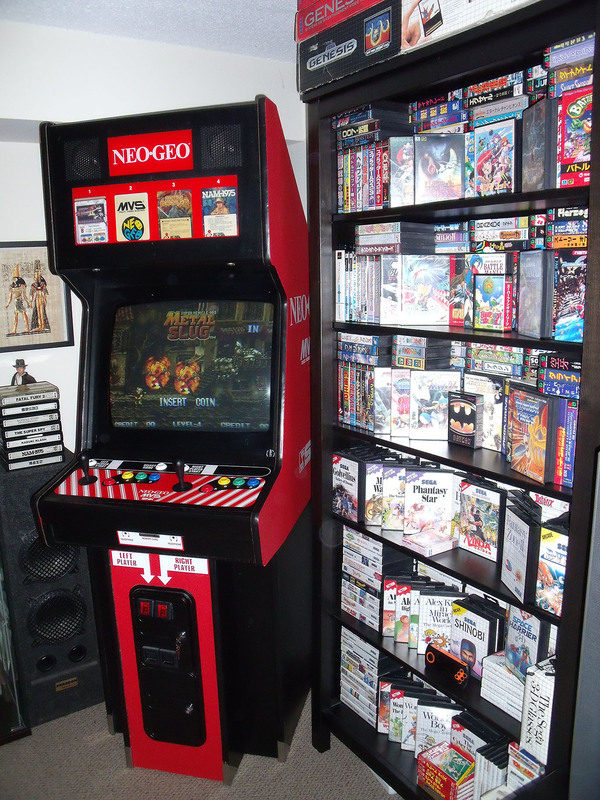 I will be bringing it to FOSDEM 18 (granted we get a stall) so if you will be attending make sure to drop by toplay some Metal Slug X or Street Fighter 2. I must say I am pretty darn pleased with it Feel free to let me know what you think. For those who want to see some pictures from the build they can be found here. ... very impressive , nice work ! (10-02-2017, 06:52 PM)MarkHaysHarris777 Wrote: [ -> ] Dude !! 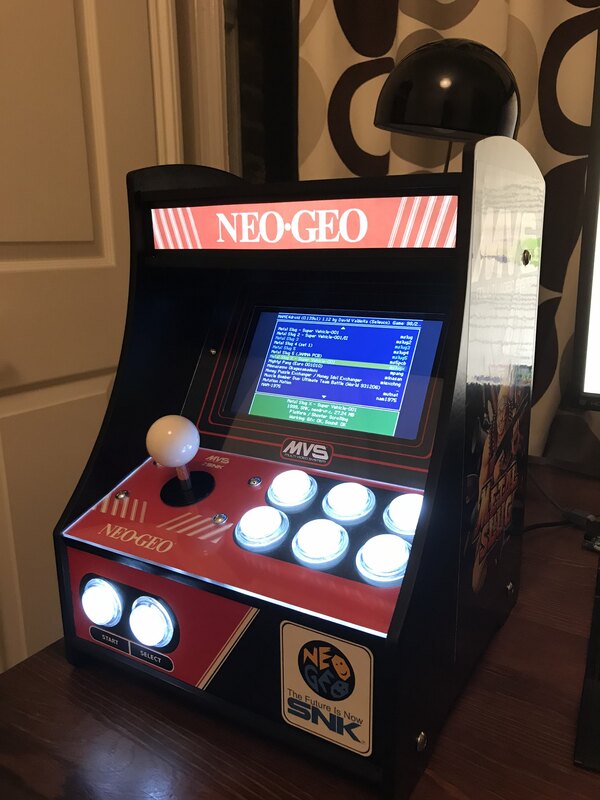 Since the original post I made a few modifications to the mini arcade (reflected in the picture in first post of this thread). Some were aesthetic, such as I making the front of the arcade much neater by masking off some of my 'crimes', and making the marquee look neat. Others were much more practical, such as adding a volume wheel and buttons to the back, and rewiring the inside of the box. (11-20-2017, 06:27 AM)clarkss12 Wrote: [ -> ] That is awesome, Luke! !